Shown as photographed by Astrid in the presence of Rev John Cook (first right) just prior to its demolition. 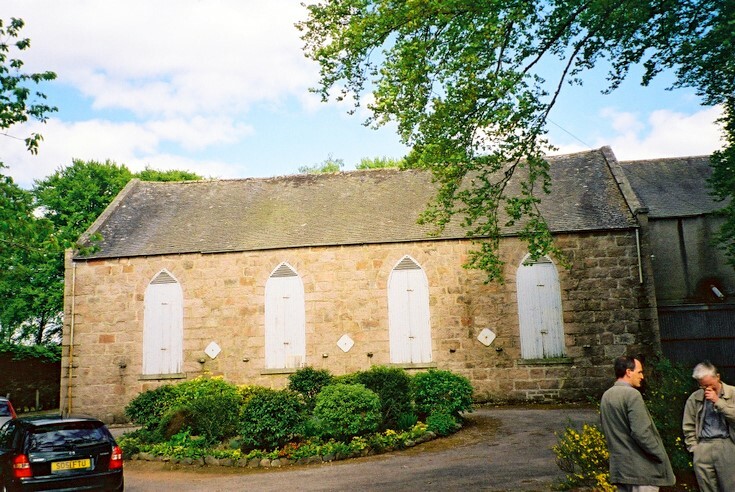 At this time the kirk was used by Harthill Farms as a grain store and drying facility, with the dryer on the right hand side of the building. A rather sad end for this building but at least the stone was well used in the renovation of a steading near Monymusk.